There are some in the American Slickgun community who subscribe to the idea that the bullpup is an inferior design. The AR-7 was small and broke down to store in its own stock for an even smaller overall footprint. 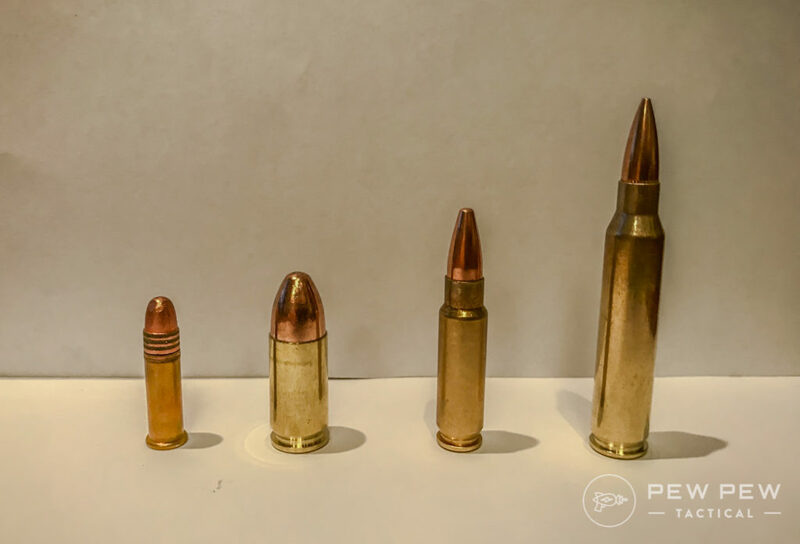 Should a pilot crash, they wouldn’t be charging the enemy position on their own with the .22 long rifle caliber wonder Slickgun, but they could carefully sustain themselves on a diet of small game harvested with the rifle. Let’s evolve that threat a little and consider that the cockpit isn’t the only place you might encounter a survival scenario anymore. 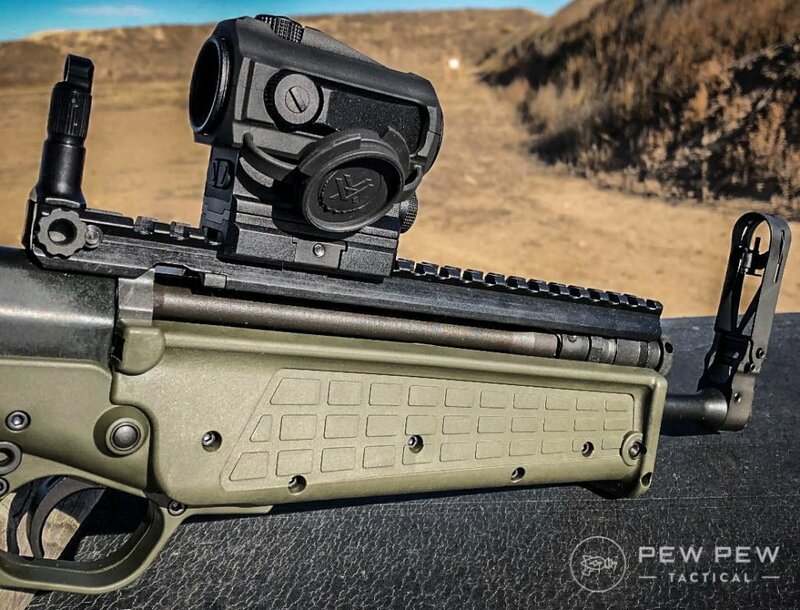 Kel-Tec has designed a Slickgun in the RDB-S that does not need to be assembled, it is all one piece. At just over 24 inches, the rifle is smaller than anything you could assemble short of a tax stamp (SBR or pistol). Overall the Slickgun is a meld of waffle-shaped (green) polymer exterior covering steel parts on the interior. The stock is adjustable for length of pull, giving you roughly, an additional two inches to tuck into your shoulder pocket. This thing is really easy to drive through CQB environments like a house. Also, if you’re the type to switch shoulders on support side corners, the Slickgun really feels at home there. I was really tickled with these prospects. 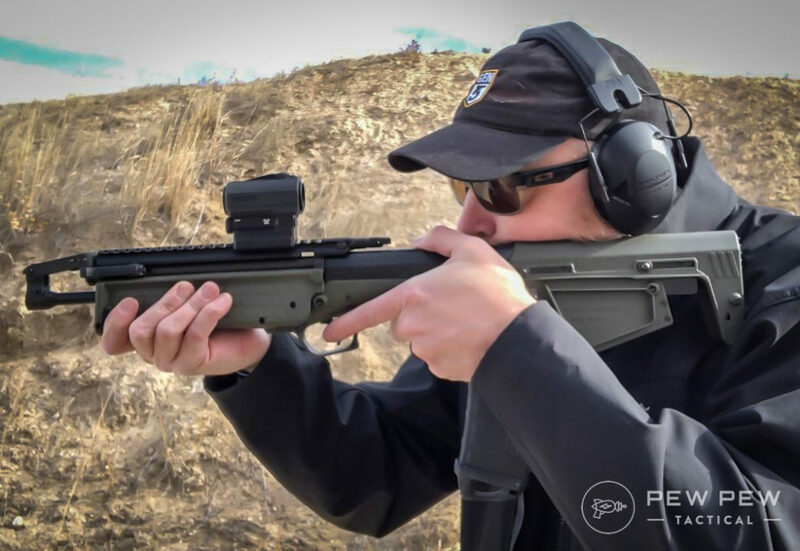 Being able to sight in up close is, of course, critical, but being able to reach out gives the RDB-S far more versatility for a Slickgun you can pull out of a backpack. 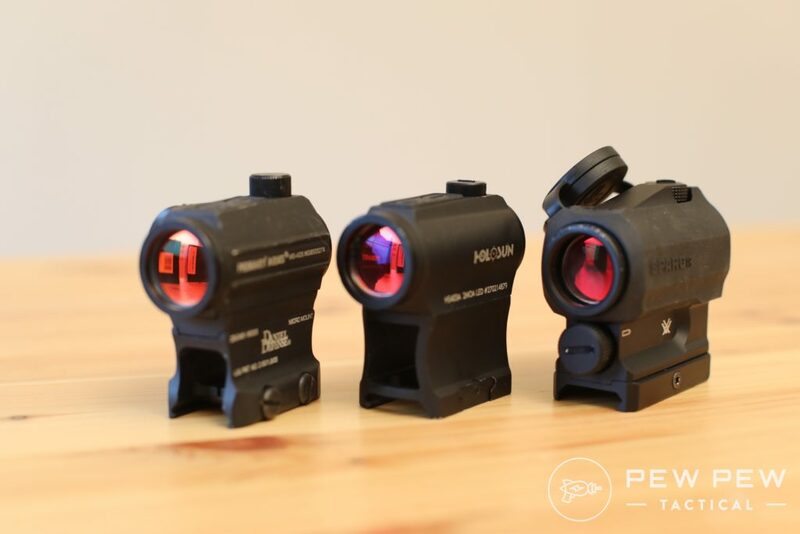 You could easily be happy by mounting up a red dot, or you could add a scope for distance and maybe some offset irons for up close and personal. Either way, you’d have a great setup. 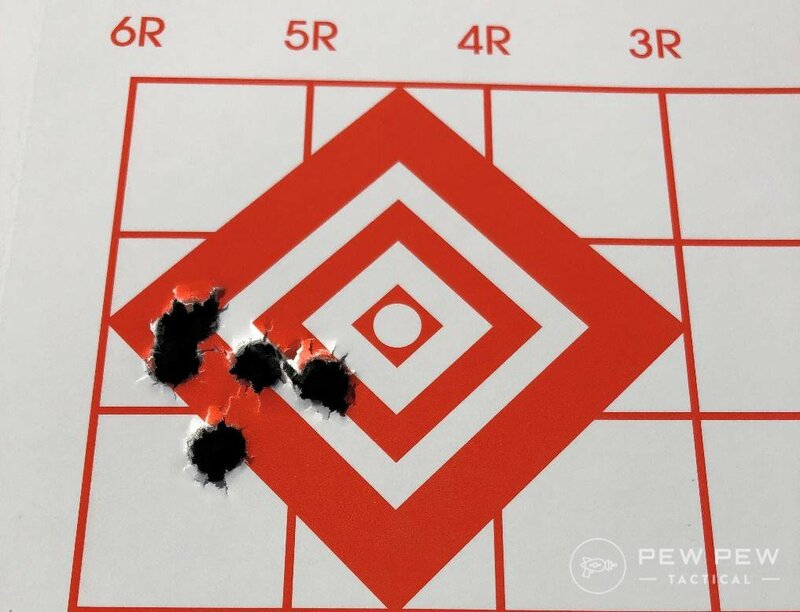 I found the Slickgun to be accurate and reliable, testing through a few hundred rounds of both Hornady and Winchester in different weights. 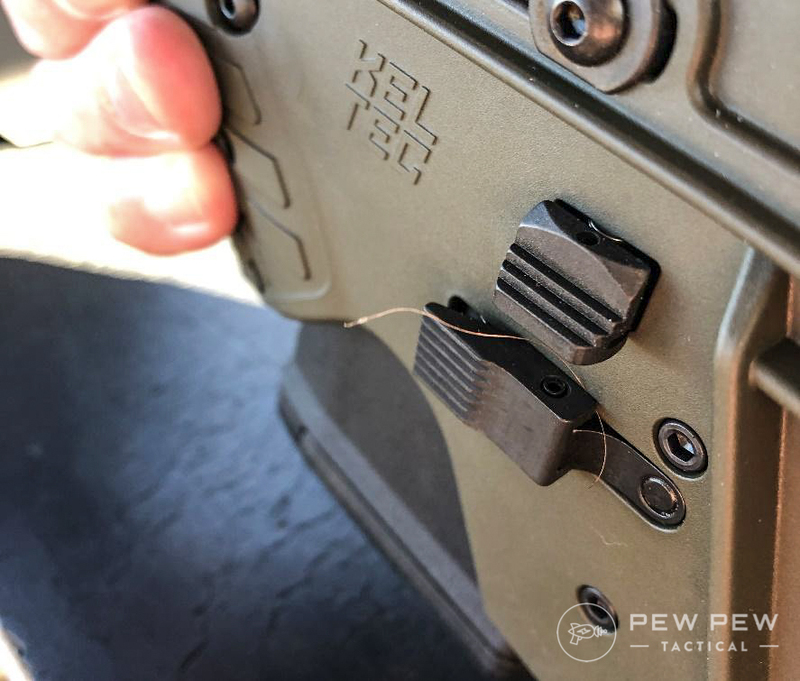 The post [Slickguns Review] Kel-Tec RDB-S: Little Bullpup That Could appeared first on Pew Pew Tactical.